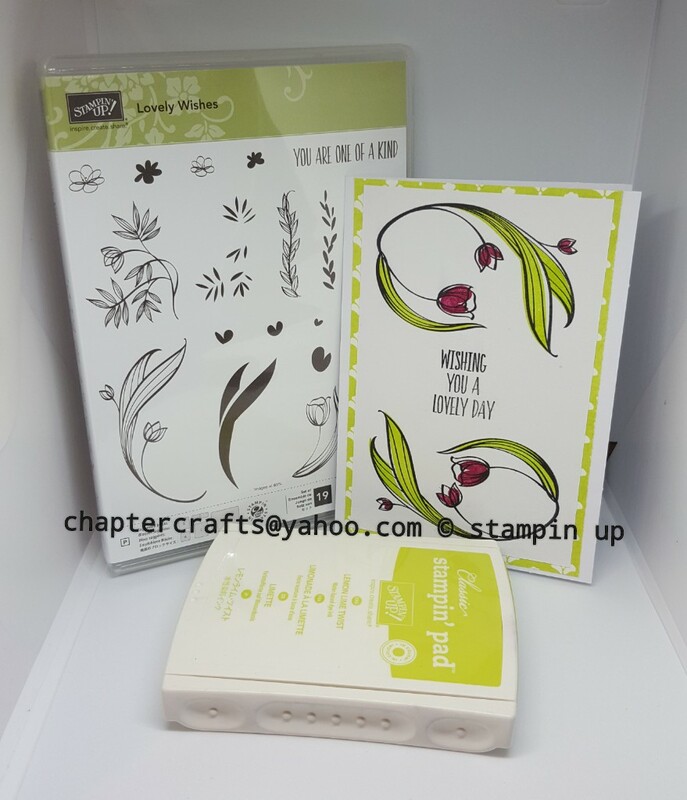 Hello and welcome back to Chapter Crafts. 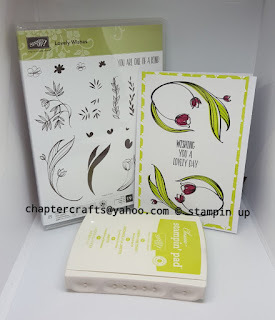 I have a very simple 2 step card using the lovely wishes stamp set from Stampin up! This is a nice simple card to make. This set brings so many ideas to mind. Fresh florals designer series paper in lemon lime twist 5 3\4" x 4"
Whisper White card 3 1\2" x 5 1\"
Coloured ink used is lemon lime twist, basic black, berry burst.